Justia Lawyer Directory M. Hedayat and Associates, P.C. 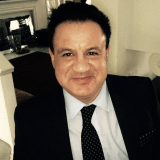 About M. Hedayat and Associates, P.C. M. Hedayat and Associates, P.C. serves individual and business clients in the areas of business law, transactions, and litigation, bankruptcy and bankruptcy litigation, real estate transactions, construction litigation and mechanics liens, residential and commercial leases and sales, and more. Call for a telephone consultation. Email M. Hedayat and Associates, P.C. Contact M. Hedayat and Associates, P.C.